The first Pekins are reputed to have been looted from the private collection of the Emperor of China at Peking (as the Europeans called Beijing then) towards the end of the Opium wars around 1860. An alternative account states that an import of birds from China in 1830/1840 were given to Queen Victoria and assumed the name of 'Shanghais'. 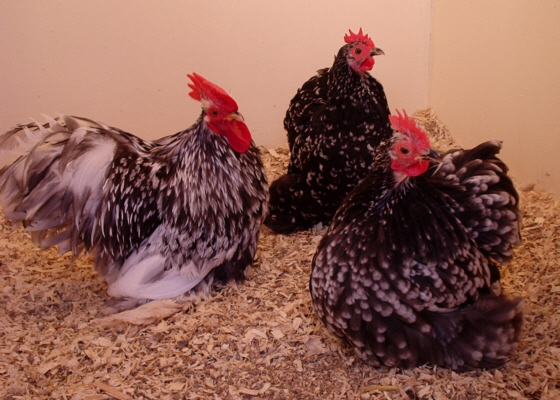 These birds were bred with further imports and were developed into the breed we know today as Cochins. 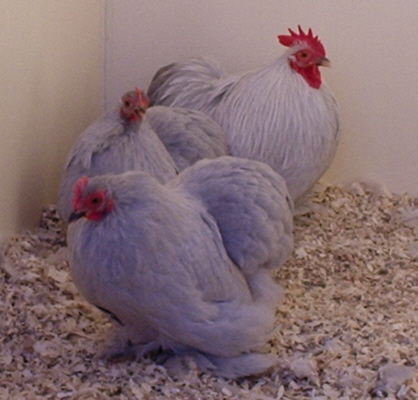 The Cochin miniature or bantam is now accepted as the Pekin Bantam and was recognised as such at the Birmingham show in 1969. 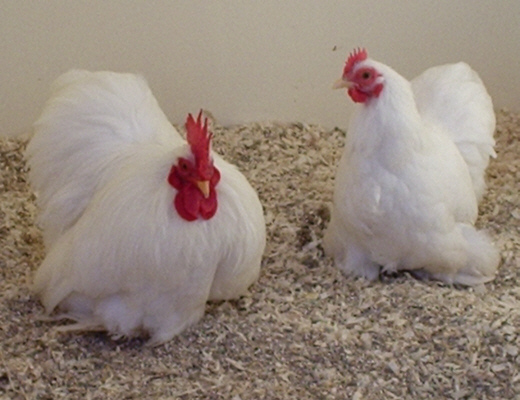 However there is still disagreement by some poultry experts stating that the Pekin Bantam is more closely related to Japanese Bantams, and being a true bantam and not at all related to the larger Shanghais or Cochins. Pekins are now a popular breed throughout the U.K. and the colours available are Lavender, Blue, Silver Partridge, Red, Partridge, Blue Mottled, Columbian, Cuckoo, Mottled, Buff, Black, White and Wheaten. The Pekin Bantams lay small cream coloured eggs, do not require a lot of room and their mild temperament makes training them for handling, very easy and rewarding.